Product prices and availability are accurate as of 2019-04-03 02:08:22 EDT and are subject to change. Any price and availability information displayed on http://www.amazon.com/ at the time of purchase will apply to the purchase of this product. Pillow Case & Pillow Insert BOTH INCLUDED: You get a beautiful hand assembled pillow including BOTH pillow case and pillow insert. Don't be fooled by cheap imitations who only sell the pillow case. Who wants just a pillow case for a gift? 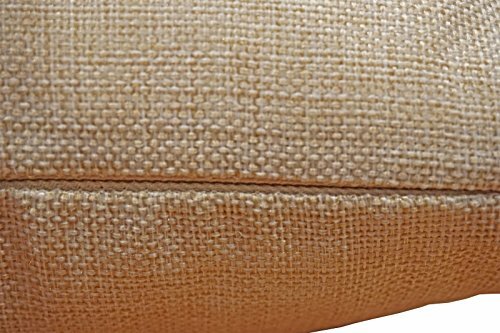 Enjoy and give the gift of a ready to use Hollywood Thread decorative pillow to love for a lifetime. 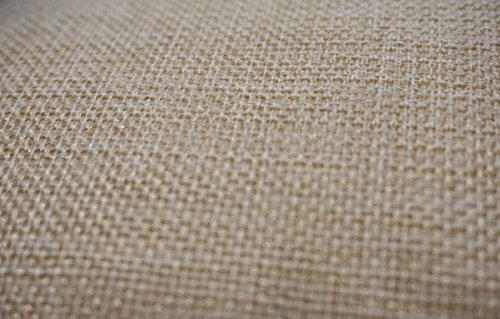 Style & Quality: Pillow case is made of a high quality linen textured material in a classic beige tan color delightfully soft and with stain resistant durability. 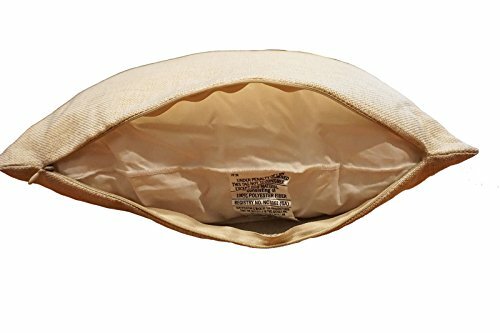 Inside of a low profile color matching zipper, is a generously stuffed corner-to-corner full hypoallergenic pillow insert filled with soft poly-cotton. 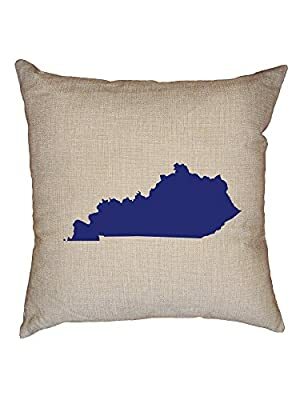 Express the Your Personality: Be the envy of your friends with this new Kentucky Blue Democratic - Election Silhouette Pillow Case with Insert. Great as a gift or to showcase your personality and have fun! 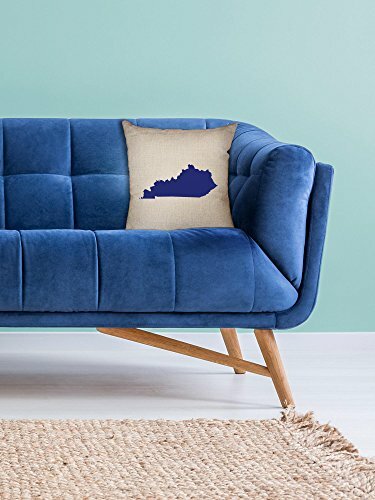 Perfect Size: A shapely square throw pillow measuring 16 X 16 inches (approximately 45 X 45cm) strikes the ideal balance between decorative accent and functional cushion for your head and body. Excellent for naps. Premium USA Printing: Printed and assembled in the USA with a safe, high-tech, eco-friendly digital dye process resulting in texture free, vibrant colors that will never fade. Machine washable, wrinkle resistant and backed by the Hollywood Thread 100% Satisfaction Guarantee.